With a successful career of over 20 years in recruitment, specialising in Executive Management, Sales and Marketing and Human Resources within the IT, Telecoms, Pharmaceutical, FMCG, Supply Chain and Manufacturing sectors, Tracy found herself working exclusively with her clients’ long term to help grow their teams. 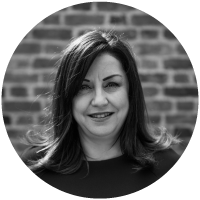 In addition to assisting with recruitment, Tracy specialises in looking at cultural and team fit as well as additional services including, onboarding, assessment centres, training and psychometrics. Working collaboratively, Tracy understands what inspires and motivates both clients and candidates and is intuitive in understanding of team cohesion, dynamics and interpersonal relations where she can deliver a much-needed difference. By establishing Hendron Pearce Ltd, Tracy wanted to redefine the perception of the world of recruitment by understanding our client’s goals, whether they are in their infancy or more mature organisations, we take that journey with our clients to deliver successful outcomes.